It’s back, although it seems that the past two years have flown by! Farnborough Airshow is a staple of the community since its inception in 1948. It is the second largest event of its kind in the world, combining major trade and networking event for all businesses involved in aerospace engineering and defence, as well as an exciting and spectacular aerial display. Along with flights from any UK Location, Atlas Helicopters’ Airshow Shuttle Service between London Heliport and Farnborough Airport is a perfect way to arrive at this prestigious event. During Farnborough Airshow there can be limited slot availability so please book early to avoid disappointment. Our friendly operations team are here to assist call them on 0125 663 5000. This year there are some terrific events lined up throughout the week, the first and foremost of which is the Innovation Zone and the brand new ‘Aerospace 4.0’. These exhibits are designed to show off the latest in pioneering technology in the aerospace industry, whilst simultaneously bringing together the world’s foremost innovators, researchers and engineers from companies and universities across the globe. Location detection technology, autonomous robotics, cybersecurity, and the Internet of Things are just a few big names among the many exhibits that will appear at the inaugural Aerospace 4.0. This year, there will also be a Live Demo Area for Spotlight Exhibitors, in which there will be a chance to see the new technologies in action. Within the exhibition halls, a special zone has been allocated for live demonstrations of innovative and revolutionary new products, described on the Airshow website as a ‘fully immersive experience’. This will be a great opportunity to find out in detail about the latest groundbreaking research that will shape the future of the industry. It’s not all about planes, either. The Space Zone has been a recent addition to the Airshow, but has proven a very popular one, with interactive exhibits emphasising space technology. In addition to the displays, there are also seminars from experts in the industry and shared experiences from live astronauts. This is widely being recognised as one of the up-and-coming new forums for those in the industry and will be a fantastic networking opportunity, as well as probably an educational one. Finally, of course, after the morning business talk, there will also be the traditional flying display which takes place each afternoon. This world-famous show puts the spotlight on the very latest design in both commercial and military aerospace engineering, in a spectacular fashion demonstrated by some of the world’s most capable pilots. There is also a static display of each model featured in the show in the neighbouring aerodrome, so all the aircraft can be seen up close. The Farnborough Airshow takes place between 16-22 July 2018. Call our friendly Operations Team to book your charter from any point in the UK on 0125 663 5000. 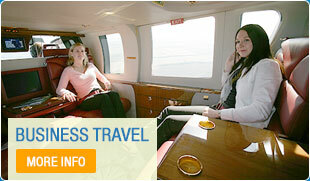 Flight times and capacity are from London Heliport (Battersea) and only for one-way. You can fly to the Airshow from anywhere in the UK, our London / Farnborough Shuttle service details are above, for any other departure point please use this exclusive Quote Generator for an estimate.